The result of one of the largest photography projects ever undertaken, "Wild Wonders of Europe" presents an astonishing view of the continent's flora and fauna. 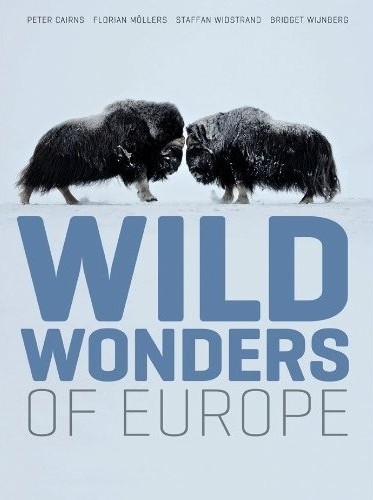 Organized by Staffan Widstrand, Bridget Wijnberg, Florian Mollers, and Peter Cairns, each award-winning nature journalists in their own right, this remarkable book reveals the wildlife and landscapes of all 48 European countries. From dramatic tableaus of spectacular valleys, waterfalls, and forests, to intimate views of strange and rarely seen creatures like the great bustard, the olm, and the desman, a team of 68 photographers captures the full range of animal and plant life throughout the continent. With a focus on conservation and reintroducing vulnerable species to their natural habitats, the accompanying texts express hope for the future of European biodiversity. Part of the celebration of the International Year of Biodiversity in 2010, the release of this book will coincide with travelling exhibitions, both outdoors and indoors, all over Europe. Tours in North America have not yet been confirmed.